binder specialises in the design and manufacture of circular connectors for sectors such as automation, food and beverage, medical and industrial data and communications systems. 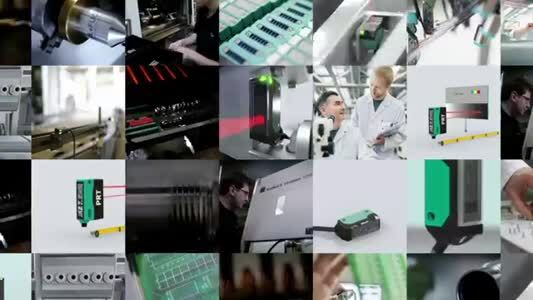 Many of its products featured at Southern Manufacturing and Electronics 2019. Products on show included M5, M8 and M12 connectors, which are designed for the sensors and controls market where the move towards the smart factory means an increase in demand for robust and reliable signal, communication and power connections. binder’s HEC series of connectors is designed specifically for applications in harsh environments. Capable of handling up to 32A at a rated voltage of 600V, the Series 696 HEC power connector is available in both cable and panel mount formats with 4+PE silver plated male or female contacts.. The connectors are waterproof and dustproof to IP68/IP69k and can withstand the levels of harsh treatment found in applications such as agriculture and construction where the use of high-pressure washing is commonplace. Other applications include traffic and signalling systems, process engineering plants, water purification facilities and recycling equipment. New additions to the range include an accessory for panel mount applications sealing on the inside of the panel designed for sealing the single wires at the connection side and offers protection against dust and humidity. It consists of a set of seals accommodating wires of 2.5-6.0mm (AWG 14-10), a pressing screw and a ring which, when fitted, meets IP67. It is designed for 5 pole (4+PE) panel mount connectors. 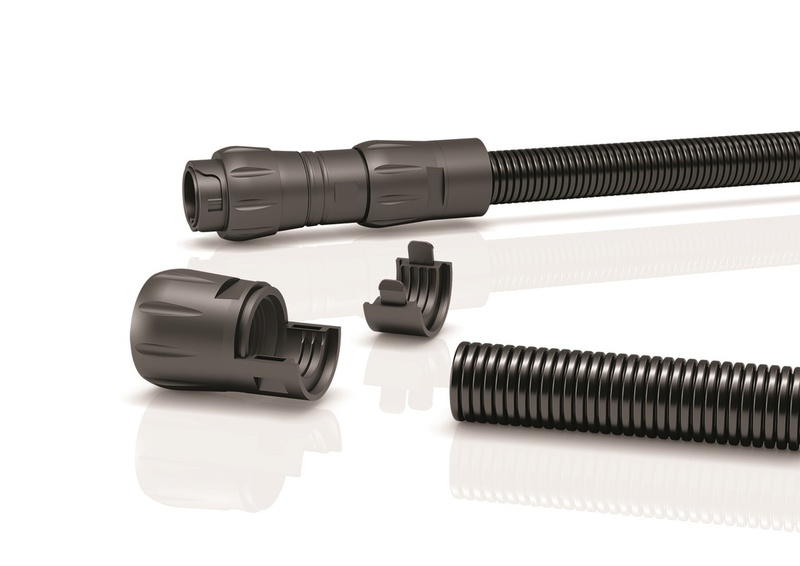 Another addition is a protective conduit hose fitting for applications where cables and single wires need to be protected when installed in harsh environments. When fitted, the conduit hose protects to IP68/IPX9K and, according to binder, it can be retrofitted to existing installations when the need arises. It can be used with both HEC 696 cable connectors and panel mount connectors. The fitting consists of a hose seal, pressing screw and securing clip. binder can also supply the hose if required. Other products on display included binder’s M12 814 and 813 Series connectors which are designed around a plastic housing. For ease of installation, they feature pre-wired male and female panel mount connectors for power applications across a wide variety of automation installations. 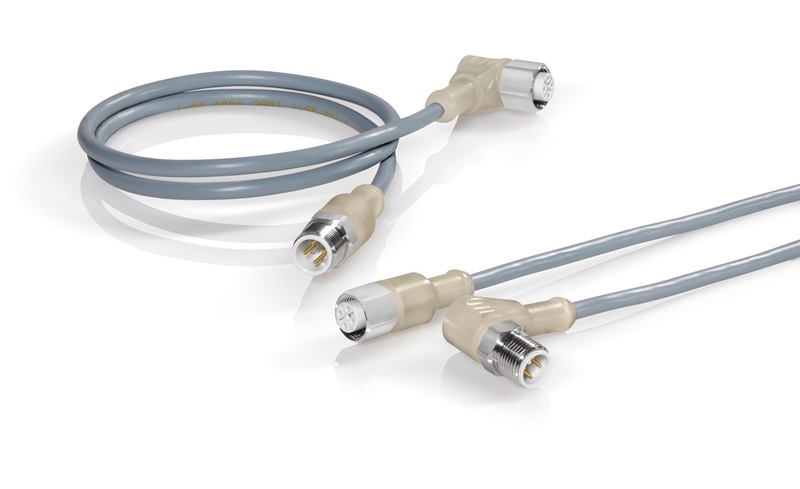 The binder 814 and 813 Series are available in both S and T coding – S for an AC supply with PE connection and T for a DC supply. Both feature a plastic housing with an M16 x 1,5 fixing thread which can be panel mounted by either direct screwing or by a fixing nut. Protection can be up to IP68 when mated. Designed for a wide variety of applications in the critical area of medical systems, the recently introduced ELC series 570 has an intuitive locking system to ensure positive mating and mis-mating is prevented thanks to a mating position clearly defined by the 'shape' of the mating area. The ELC series 570 connector features a PA66 plastic housing, has 12 gold plated contacts for 0.25mm² wires and is rated at 2A, 150V. binder has designed the connector to be good for more than 5000 mating cycles. The female panel mount connector provides protection against the ingress of liquids, water splash and accidental electrical contact and, when mated, the new easy locking connector offers protection to IP54. 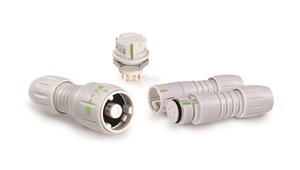 binder has announced a number of new connectors, including several designed for outdoor use. Its new range of M12 connectors with a UV plastic body and high-grade stainless steel combination provide high temperature and chemical resistance while polymeric seals ensure protection to IP69K. A tough protection cap with a lanyard ensures sealing even when unmated, while screw clamp terminations make them suitable for field assembly. The more stringent hygiene requirements for machinery, systems and components in the food and beverage markets can be met with new binder connectors designed for this market. These M12 A-coded connectors are suitable for applications in all types of industrial food processing, including dairies, abattoirs, bottling plants and food storage, and also in the pharmaceutical and chemical industries. binder has used high-quality materials such as stainless steel and special plastics with very smooth contours to prevent dirt adhesion. In addition, a high protection class (IP68 and IP69K) is provided to meet the requirements of high pressure cleaning with the aggressive chemicals widely used in the industry.